Attempting to make my own coil overs with sleeves. If all fails I'll get a proper set up. Autometer gauges going into a custom dash. Cage, comfortable bucket seats, harness but still streetable is the goal. The car was in the works of an s2000 swap but drivetrain was sold to another member on the forum and I picked the roller up. It is defintely a blank canvas to work with, so that gives me a lot to do! Looks like a fun hotrod project! Welcome to the BMW2002FAQ. For front C/O's, Ireland sells stuff in component form if you want to hack some of it yourself. Ken (vintageBMWracing) offers Lexan windows for 2002 racers. A couple of us have doen rack/pinion swaps. 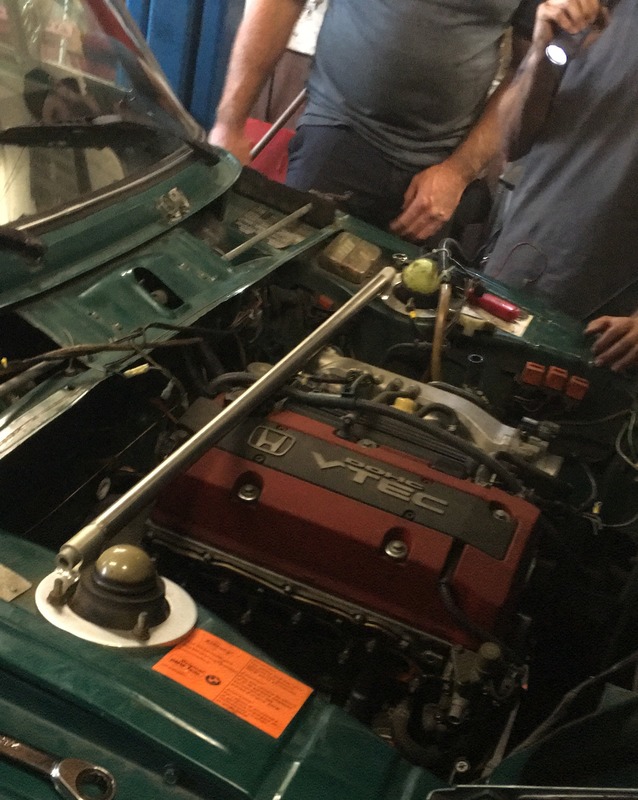 It's easy to screw up the geometry on these cars, so measure twice (w/ software) cut once. My attempt at coilovers is basically identical to what IE and ground control offer. Just sourced a bunch of it for a little cheaper. Same spring rates too! Still trying to figure out if I want to do mk1 inserts and cut my strut tubes down. I will definitely look into those Lexan wind shields. Found them on Facebook. Any idea what racks get used? I've only stumbled on a couple write ups for the conversion and found most use a z3 rack. Got our buddies fc20 in this last weekend and got the red car back to my place. Excited to start tearing into this thin! haha, "basically identical" is always code for "not identical", not that that is a bad thing, I'm sure its perfectly functions. Again, depends on what you are going after. In regards to setup, if you look at the Clarion Builds 2002, I specced that system to be about as low as you could go for the std.-height. Given what you are doing, I suspect the shortened height route will be in your future. As for the steering rack, you may not want to refer to any current write-ups. The cleanest setup I've seen utilized a universal system intended for hotrods. Visually identical haha! I get what you mean though. I think I am going to try it with the stock length bilsteins I have right now just because they are fresh and I can always cut the strut tubes later. I might just stab the engine in and see if it clears the steering and the steering box, who knows maybe I'll get lucky! Can you really hate on an LS though?! Started messing with the coilovers today. Trying to figure out where the sleeve support is going to get mounted on the fronts. Definitely will need at least 7" springs up front and the rears seam like they should work great as is. Won't know until they are on the car though.